Hello! Today’s Thursday, hence the title “Thursday”. Today is a normal day. Addy and Ezra went to school. I guess today was a little special at school because their class got to go over to the bigger school down the street and watch the teenagers put on a play. They were so excited, and I’m happy to report that they weren’t disappointed. They had a great time on their first “field trip”. 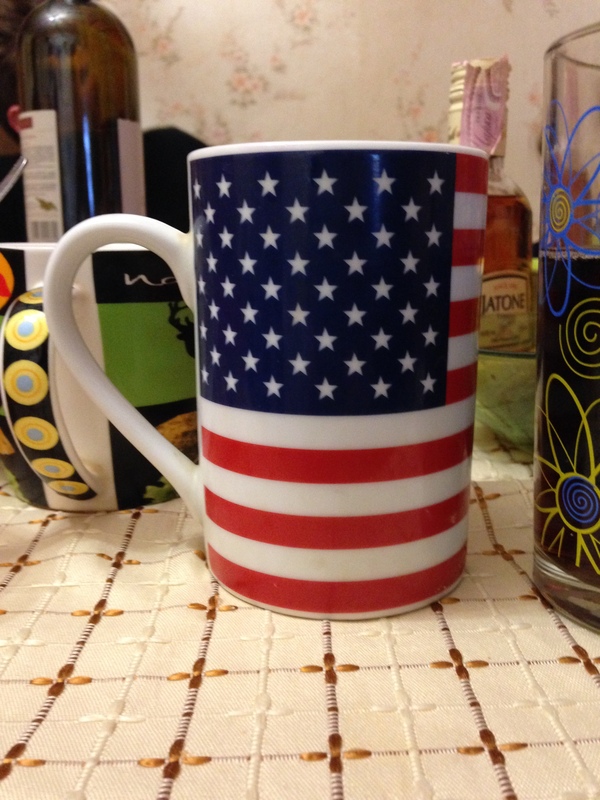 At a birthday party in Kyiv…guess what mug they saved for me? I’ve kind of neglected this spot lately. My last post was 10 days ago! No bueno. Lots has been happening and it seems there’s always something to write about, but then when the end of the day comes and I have time to write I’m utterly exhausted. I really want to enjoy writing here, and good posts never come out of compulsion. But, I still need to attempt to be more faithful here. So…here’s my attempt at a bit of a catch-up post so I can give myself a clean slate and a fresh start. Mmmmk? 2. We had some amazingly wonderful special guests this past weekend! Okay. Jed’s parents are missionaries in Kosovo. They are volunteers for a German relief organization called Humedica. Humedica does amazing work in disaster relief worldwide. They have huge numbers of medical professionals in their database ready to respond to need at any time. Awesome, awesome organization that does big work really well. Wolfgang Gross, the founder and director of Humedica, has become a close friend of Jed’s parents over the past 14 years they’ve been working together. We’ve been wanting to meet him since forever! Numerous times Jed has tried to plan a way to meet his parents in Germany to meet Wolfgang and it just never worked out. Well, this past weekend we got the treat of a lifetime! 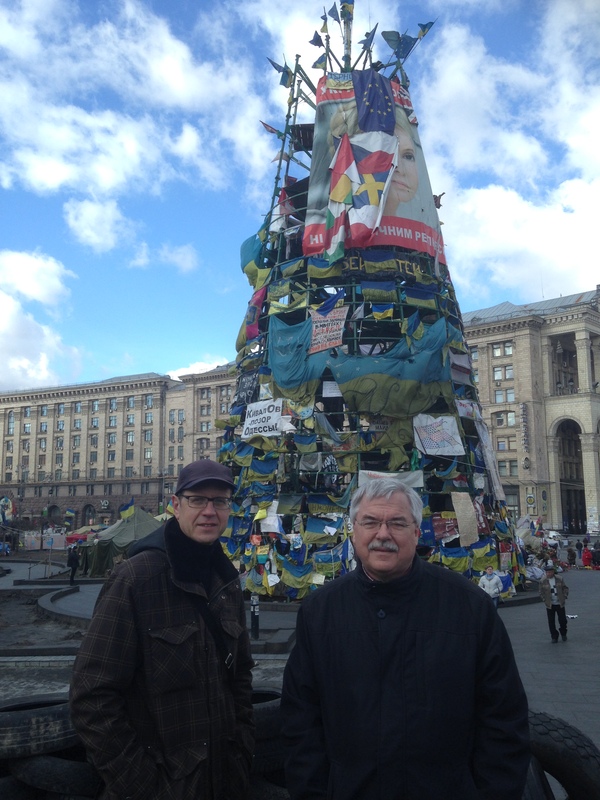 On Thursday we found out that Wolfgang and his dear friend Jurgen were invited to Kyiv to deliver much-needed medical supplies to hospitals that were assisting injured protesters. Wolfgang contacted the parents, who contacted us and let us know that we would have a chance to meet! 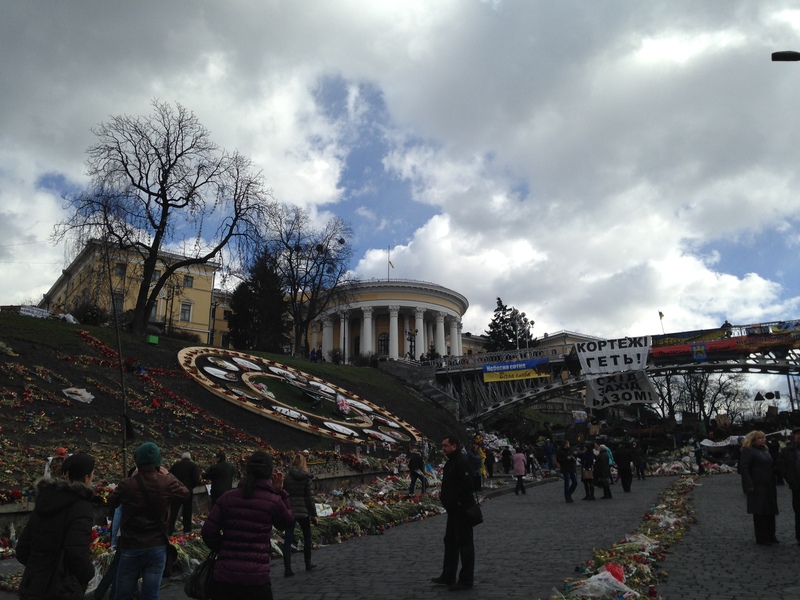 We rushed off to Kyiv on Friday after school and spent an amazing weekend with two men that will always have a piece of our hearts. 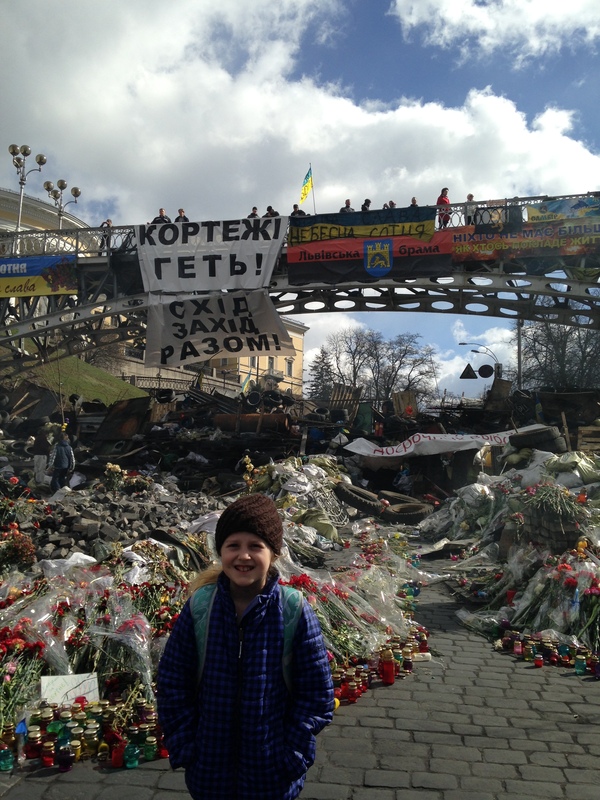 Jed got to help take them around Kyiv on Saturday to deliver their supplies. 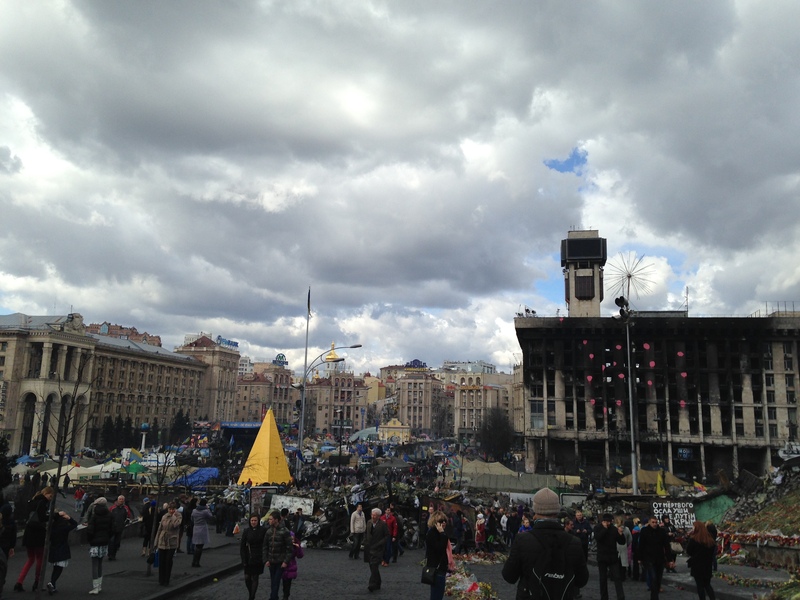 Then we all visited Maidan on Sunday. 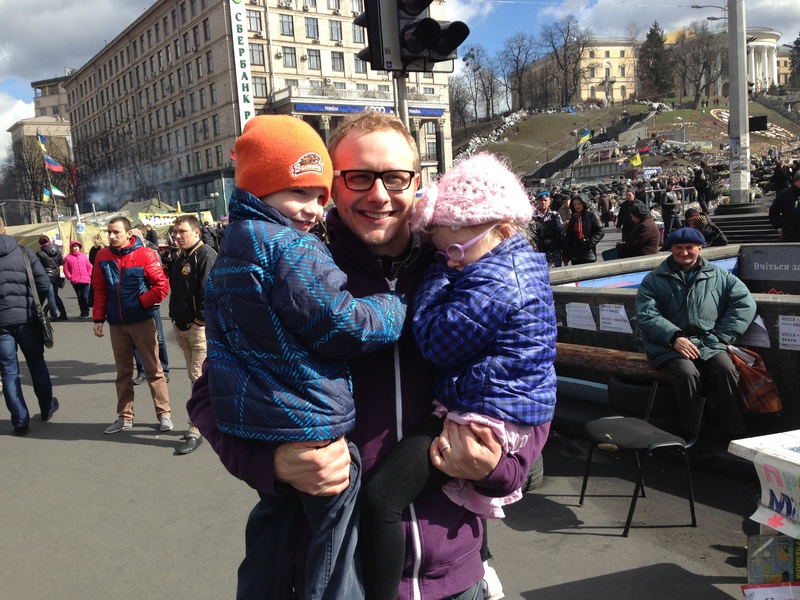 They joined us at Kyiv Vineyard for church on Sunday and then came to little ol’ Zhytomyr to stay the night at our house! Wolfgang and Jurgen got a tour of MTU and they even got to visit Romaniv! Super cool and fun. We were so sad to see them leave. Having them here felt like family visiting, even though we were meeting for the first time. It was glorious. 3. Our boys at Romaniv are FINALLY out of quarantine! We get to resume our visits tomorrow at long last. Woot! Welp, there’s a bit of an update for you. We are doing pretty well, in general. Every day is different, and some days are better than others. We feel some loneliness setting in these days and are really missing our sending church, so, we’re learning in a whole new way what it means to find our hope and peace in Jesus alone. The kids are doing well and Addy and Ez really enjoy school a lot. 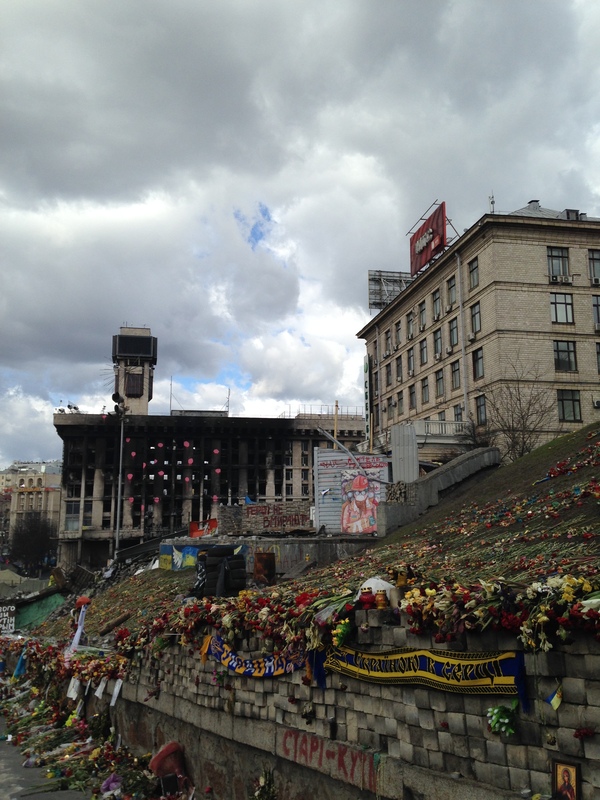 At this spot on the morning of February 20th, many men were killed by snipers. 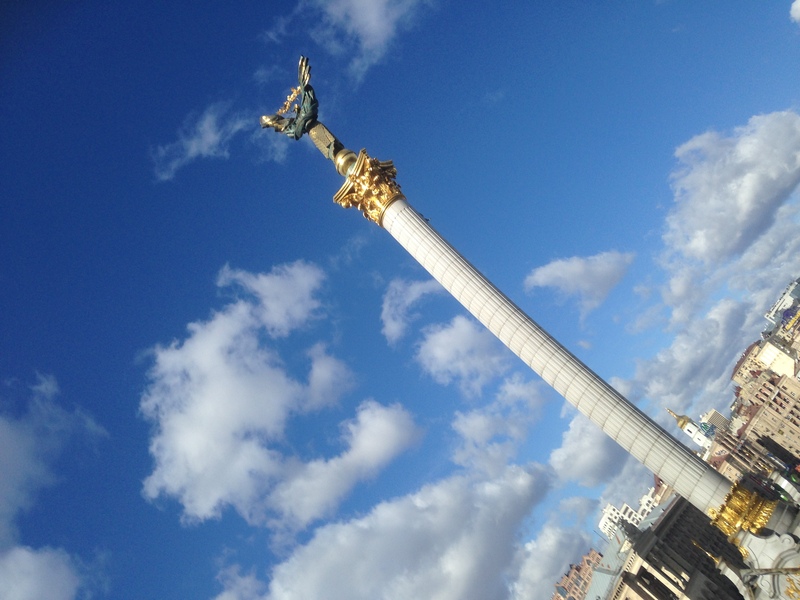 Here is the memorial to Ukraine’s “Heaven’s Hundred”. We’re so proud of the wonderful work you are doing and the amazing job you are doing as parents not only to your kids but helping the boys. How is your coffee supply doing? Btw, has spring sprung there? 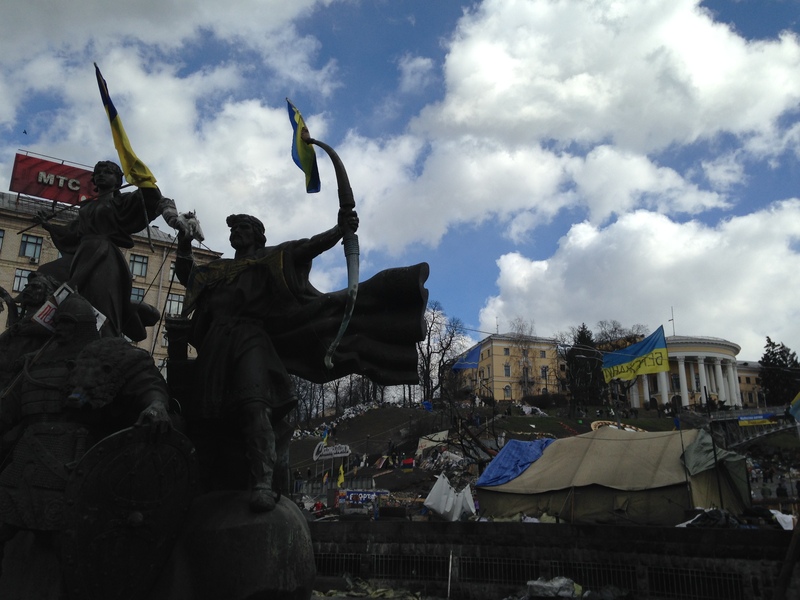 What is spring in Ukraine like? The cherry blossoms on the capital mall are all in full-bloom. Spring break is next week and the Mexico contingent is taking off tomorrow. Power prayers from the Johnson clan for the week they are gone would be most welcome. This comment blessed us so much! Thank you so much for the encouragement. We finished off the coffee today. It was soooooo good. We have been praying for the Mexico team. Can’t wait to hear about their adventures. Love you guys! Oh, after 5+ years I just now tried speaking surzhik with my neighbor. It almost hurt, but she understood me better. Heaven’s language…hahahaha! I think my neighbors would beg to differ. So funny! My brain hurts learning British, so I can only imagine how hard it must be for you. 🙂 Glad to hear you’re doing well, my friend!